BRYAN EATON/Staff Photo. 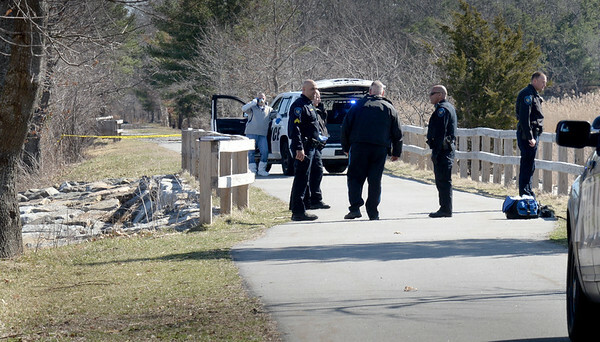 Salisbury Police responded to a body seen in Town Creek at the tidal gate on the popular Old Eastern Rail Trail which runs parallel about 100 yards to the west of Route One (Bridge Road). Chief Thomas Fowler said the body was of an adult white male and had appeared to be in the water for a time.